Carl. F. Bucherer issued a bold declaration of its identity and savoir-faire with the Baselworld 2016 world premiere of the manufacture caliber CFB A2000 family. The new movement, which integrates both a new architecture and new manufacturing plant, will anchor future product ranges for Lucerne-based Carl. F. Bucherer. For Bucherer, the A2000 serves as the lynchpin of a vigorous multi-tiered effort to highlight what company CEO Sascha Moeri describes as a series of model year milestones for the firm. As the first of these landmark features, the launch of the A2000 builds upon the successful premium CFB A1000 peripheral rotor automatic caliber originally launched in production form in 2009. 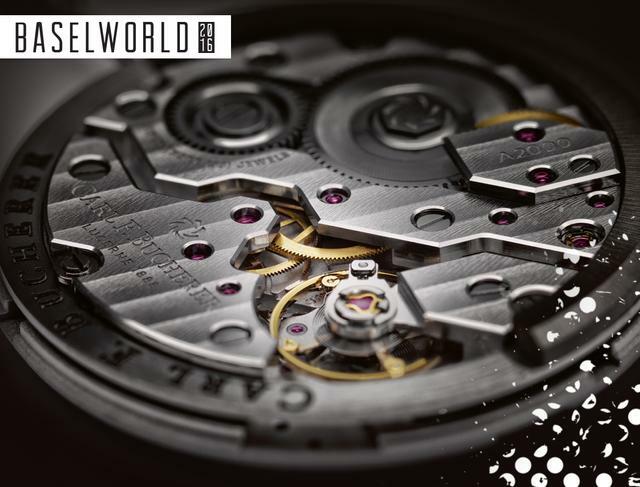 At the time, the A1000 represented the first practical execution of a thin automatic movement with a rotor peripherally geared to the winding mechanism bridges within its arc. 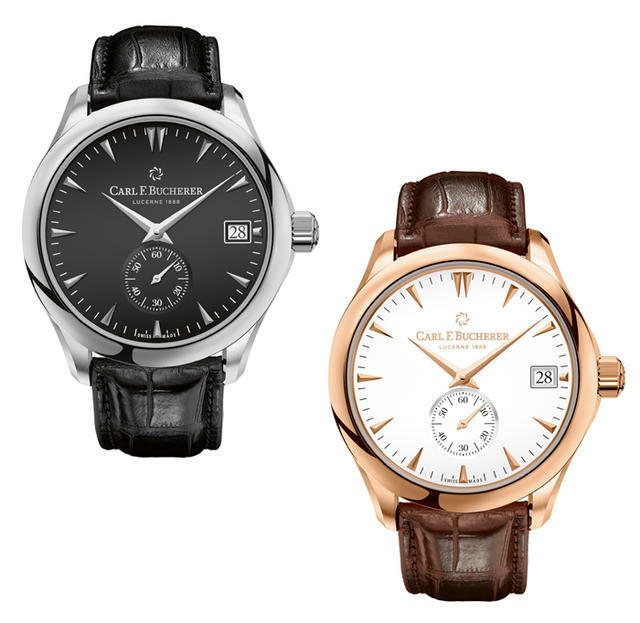 The successor A2000 caliber retains the original movement’s unique combination of long power reserve – 55 hours – and the signature winding mechanism, but the A2000 expands on the potential of the original. Bucherer’s new movement is designed to act as a platform for all complications originally featured on the A1000, and future evolutions can be equipped to support complications ranging from tourbillons to flyback chronographs to perpetual calendars. Bucherer’s engineers and watchmakers have enhanced the A2000 to include a new 4hz beat rate – up from 3hz in the A1000 – for increased precision and a newly free-sprung balance for increased resistance to shock-induced timing deviation. The A2000 retains its predecessor’s COSC Swiss Chronometer certification as an attestation to its ultimate performance. Moeri stressed that the premium positioning of the new A2000 family of calibers will lead a brand push towards greater upmarket presence. 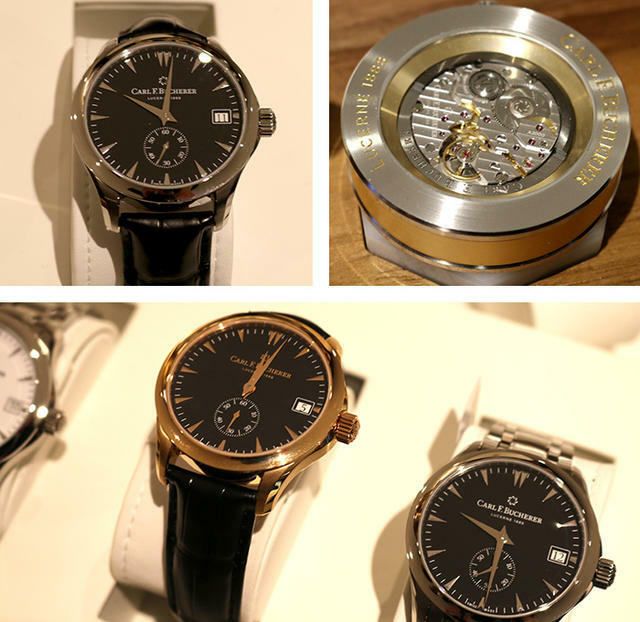 Emphasizing that the A2000 will debut in the posh “Manero” model line, Moeri explained that this collection of complicated and manufacture products will be considered the Bucherer brand’s flagship for 2016. As part of this commitment, the new CHF 10 million Lengnau facility will integrate all aspects of A2000 operations from design to prototyping to production to after-sales service. All of these disciplines will coordinate to ensure smooth rollout of the new movement family. Moeri, who joined the firm in 2010, emphasizes that the Bucherer brand’s mission for 2016 will be to emphasize the value of continuity and independence at a creative company like his own. Bucherer will strive to communicate its privately held status as a family-owned firm, its dedication to progress as a complete manufacture, and its inextricable ties to the Swiss city of Lucerne. The last has served as a home for Bucherer and three generations of the Bucherer family since the firm’s 1888 founding.